Thank you, Maureen, for having me back on Romantic Suspense. As I prepared to type my blog, I read through the recent posts. I love reading why an author chose to write about a certain venue or to read about their writing journey, not only is each experience unique, it’s an inspiration. My voyage started in 2007. I’d just lost my mom to cancer. For anyone who’s ever experience a loss of a parent knows the depth the pain reaches. In my mom’s case, she was diagnosed with lung cancer (She never smoked.) and a month later, we lost her. The first year after her death, I went through many firsts, many of them hard to bear. A year after her death, I wanted a way to feel connected to her, so I picked up her favorite pastime…reading. Being the type of person who never really read for leisure, this was a new step for me. In the past whenever I read, I’d fall asleep. The stories didn’t bore me. I just had a habit of running myself ragged, so when I finally sat down at night to read, I’d fall to sleep. So, picking up a book was not only a new thing for me, but very special. Here’s the thing: after I read my first book, which only took two days, I devoured them. I read over two hundred books the first year ranging from thrillers to romance, but romantic suspense is the genre that captured my heart. A year later, my writing journey began. In 2013, my first book, Kidnapped Hearts, was published. The sequel, Mystic Hearts, is in the editing process with the hope of a 2014 release date. 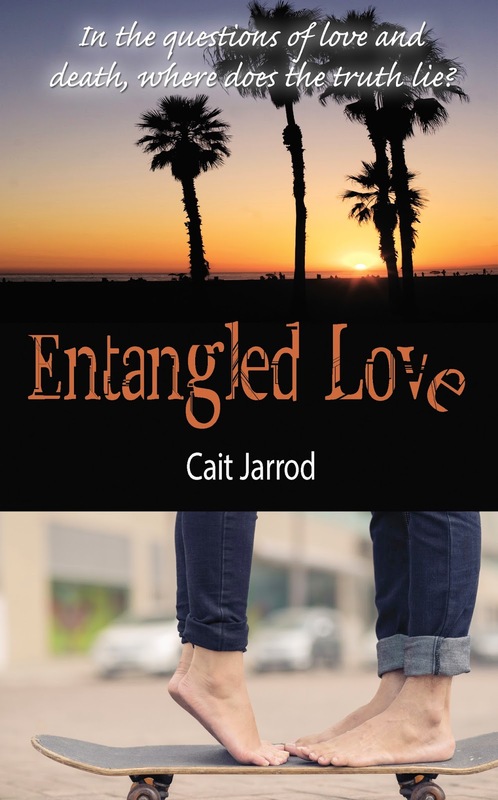 This past May, my second book Entangled Love was released. More info about it is below. My third book, Triple Jeopardy will be released later this summer. I’m saying all this to simply say, thanks mom for instilling in me your passion for books. Chaos and life-threatening obstacles have Ryan investigating Emma’s husband's death. When he discovers handwritten notes made by her late husband, he learns some friends can't be trusted. They will stop at nothing to get what they want, including putting Emma’s life in danger. “Oh...uh, it takes time getting used to a broken engagement.” Her voice faded from the disappointment that he not only was engaged, but he lied to her. Ryan closed the distance between them, spun her on the bar stool, and placed a hand on each side of her face. “I’m not engaged to her or anyone, never have been. I certainly wouldn’t be able to do this, if I were.” His words broke off as his lips found hers. This time, the kiss didn’t catch her off guard. As freaked out as the situation made her, she responded and sucked on his lower lip. His tongue traced her lips and she parted for him to slip inside. He felt good, more than good. The man knew how to kiss. Just thinking about being trapped, I have to take deep breaths. I'm with you...don't want to go there. Thanks for stopping by Jonetta. Oh my... buried alive... hope I could find a way to get out or someone would find me... probably panic!!! Glad you stopped by Colleen! For me, I hope I'd have my wits about me, but I'm claustrophobic. No telling what I'd do. I'm glad to meet you, Janice! I, too, started out reading just romance. Contemporary is great, but for me, there's nothing like a good romantic suspense.